The Ghana National Fire Service has debunked claims that it has asked some trainees to go home. The service says the directive to ask some trainees to go home, forms part of the training activities. 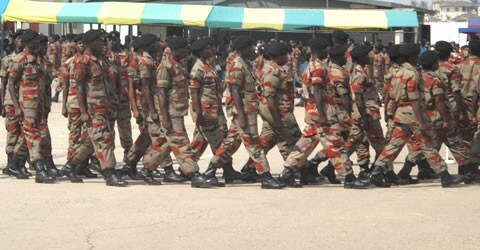 Head of Public Relations for the service, Ellis Okoe, told Kwabena Agyapong on Rainbow Radio 87.5Fm that the trainees have undergone all training activities but with the exception of one module which is expected to start on September 1, 2019. But he has confirmed that the service may withdraw the enlistment of some trainees because they cheated the system. Some online portals have published a story which suggested some trainees have been asked to go home until further notice. But clarifying the issue, the PRO noted that some of the recruits did not go through all the processes required for enlistment with some others forging their documents and would be handed over to the police for prosecution. When asked if the fire service failed to apply due diligence during the recruitment, he denied and claimed that some if their officers assisted the recruits to cheat the system.